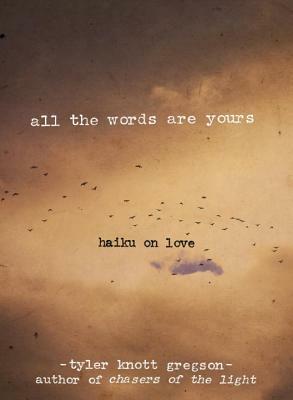 Tyler Knott Gregson is a poet and professional photographer who lives in the mountains of Helena, Montana. His first collection of poems, Chasers of the Light, was a national bestseller. "Gregson is clearly a romantic... His words slip past the defenses of even the most bitter, with boarded-up hearts and cynical minds, reminding readers why we love, yearn for connection, and bare our souls."